What is the true purpose of education in the 21st century? 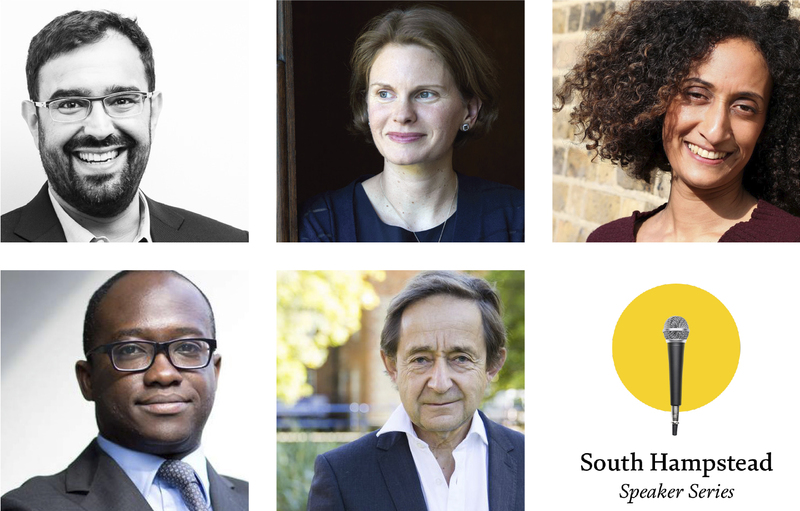 As we look towards South Hampstead's 150th anniversary in 2026, you are warmly invited to our latest Speaker Series event: an expert panel discussion exploring the future of education. Our distinguished speakers are some of the UK's most influential educationalists and will share their views on the purpose of schools in the 21st century. Azeem Azhar is the founder of Exponential View, a newsletter and podcast about the future. He is also an early-stage investor in technology companies, senior adviser on AI to the CTO of Accenture and a member of the World Economic Forum's Global Futures Council on Digital Economy & Society. He sits on the board of the Ada Lovelace Institute, an independent research and deliberative body with a mission to ensure data and AI work for people and society. He is also a South Hampstead parent. Since January 2017, Vicky Bingham has been Headmistress at South Hampstead, where the focus is on empowering pupils to prepare for life and work in a rapidly changing future. As outlined in the school's master plan, the aim is for South Hampstead to become one of the greatest schools, in the fullest sense of the word: a school which opens doors, hearts and minds, enabling girls to go on to live and thrive, work and lead in tomorrow's world. Teacher Katharine Birbalsingh delivered a speech at the 2010 Conservative Party Conference which, in her own words, “caused a bit of a storm.” She turned her teaching blog, To Miss With Love, into a book of the same name, which was serialised on Radio 4. In 2014, she founded the outstanding-rated Michaela Community School in a deprived area of Brent, where she is Headmistress. Battle Hymn of the Tiger Teachers, written by Michaela's teachers, describes the free school's philosophy. Sam Gyimah, MP for East Surrey since 2010, had a background in investment banking and entrepreneurship before entering parliament. He held the post of joint Minister for Higher Education at the Department for Business, Energy and Industrial Strategy and the Department for Education from January to November 2018. He also served as Parliamentary Private Secretary to former Prime Minister David Cameron and has been a governor of an inner London school. Sir Anthony Seldon, one of Britain's leading political historians, commentators and educationalists, has been Vice-Chancellor of The University of the Buckingham since 2015. He is the visionary former Head of Brighton College and Wellington College whose views on education have been sought by the government and political parties, helping to set the educational agenda. As co-founder of Action for Happiness, he is passionate about the teaching of well-being and the development of the all-round child. This event is organized by South Hampstead High School, GDST.